Helps reduce OA pain during daily activities. Is the OA Assist Brace right for me? Ideal for those with mild to moderate osteoarthritis to help reduce pain during daily activities. Try our Brace Advisor for personalized product recommendations to meet your needs! 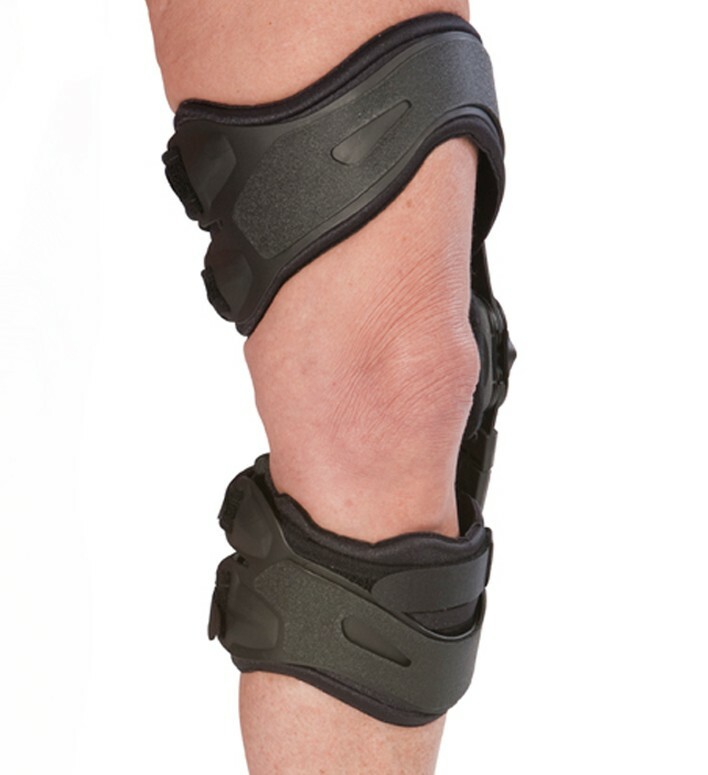 Knee braces are available that are specifically designed to treat OA. They stabilize the joint, help reduce pain and help to build stronger muscles, which allows patients to return to the activities they love. Load redistribution and joint alignment Through a process called "off-loading" or shifting, OA braces help relieve pain by redistributing the weight bearing load on the painful or affected compartment of the joint to the healthy or unaffected compartment. Increased function Studies have shown that wearing an OA brace can increase daily functions and decrease pain. Shop our complete selection of knee braces or browse additional DonJoy products. Shop DonJoy OA Assist replacement parts here. Is this brace a velcro wrap around or a step into brace? I would like to have more explanation on the donning and doffing of your OA braces. The OA Assist is applied by placing the brace on the knee and using the velcro straps around the leg. It is not a step into brace like our other OA braces. My mom is 80 y.o. 150lbs, has severe chronic OA on both knees and uses a walker, will she benefit from don joy everyday or the OA assist? I am looking for a brace to help ease her pain and discomfort on getting up from prolonged sitting and lying down, support her on Activities of Daily living while not cumbersome for her . I have OA with bone on bone on my right knee medial side. Would this be the brace to order or would the Nano work better. I do a lot of walking but not any heavy exercising. My md said I needed a uploaded. The OA Assist is for people who are not very active, so if you just do some occasional walking this brace will be fine. The OA Nano is for a very active person. In either of these braces you would need to unload the medial comparment. For a medial meniscus tear you would want a medial unloader.